Keep up with our AAODA Superstars!! We attend varies events, competitions and conventions each year! Check out some of our most recent experiences below! 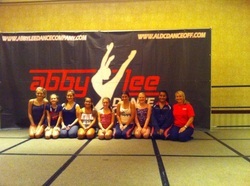 Several of our AAODA dancers traveled to New York in June!! They attended dance classes at the Broadway Dance Center, went to see the musical "Newsies" on Broadway, and several other adventurous things!! One of AAODA's Superstars, Miss Jenna Greene performed at the Pro Bowl in Honolulu, Hawaii on Sunday, Jan. 26th! We are so proud of her!! Her coach, AAODA's Mrs. Tasha Dyson, also traveled with her. AAODA is proud to have three of our dancers dancing in the Wilmington Ballet Company's "The Nutcracker" December 7th & 8th! This is a fundraiser event that helps benefit our local studios! AAODA Superstars performing include: Claire Boone, Kiya Gause and Carson Greene! Myrtle Beach for the Platinum Dance Experience Convention. her dancers (Maddie & Mackenzie) and teachers (Gianna). 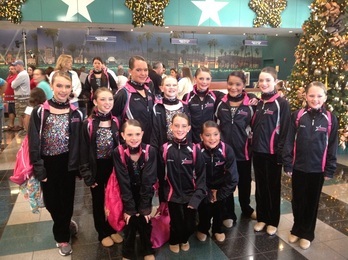 In November 2012, AAODA students traveled to Disney World and performed a 30 minute show! !